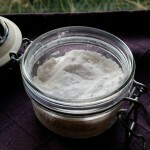 From Sublime to Divine: Lavender Sugar! Posted November 21, 2015 by Heather Michet & filed under DIY, Food, Recipes. “Just a spoonful of (Lavender) Sugar makes the recipes go ’round”. You and your tasters will be singing this song – no need for Julie Andrews to be present – when you use lavender infused sugar in some of your baking delights. 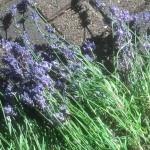 Add both to blender and blend until lavender buds are tiny bits. Use in place of sugar in the above suggested recipes and your own creations. Adjust the amount of lavender buds used to your palate’s preference. Make cream puffs with Lavender Whipped Cream for the filling and you may find a new favorite thing added to your list! I definitely need to try cooking with lavender! I’ve been growing it for years, but have only used it for potpourri and in bath water. Thanks for the post!